Author: De Sa, Anthony Set In . . . This tale of two generations, spanning from the Azores to Toronto’s Portuguese community, is full of “immense emotional and truthful power” (Colm Tóibín, author of Brooklyn). These “beautiful [and] profoundly moving” interlinked stories of a father and son explore the innocent dreams and bitter disappointments of the immigrant experience (Booklist, starred review). Moving from a small Portuguese fishing village in the Azores Islands to the shores of Newfoundland, Barnacle Love then takes us into the dark alleys of Toronto’s Portuguese community in the 1970s. The first half of the story is told through the perspective of the father, Manuel Rebelo, who fled his homeland—and the crushing weight of his mother’s expectations—to build a future for himself in a new land. Manuel struggles to adjust, but fulfilling the promise of his adopted home is not as simple as he had hoped. The tale transitions to the candid point of view of Manuel’s son, Antonio, who—along with his sister and mother—lives in the shadows cast by Manuel’s failures. With fantastic, sometimes magical details and passionate empathy, this is a haunting journey into the lives of a family and its secrets. 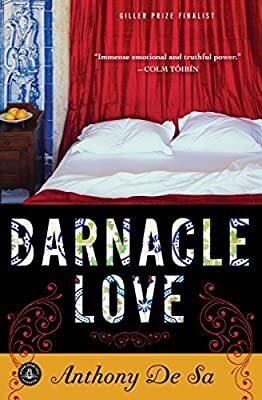 Hailed as “tender and raw, morbid and surprisingly gentle” by the Vancouver Sun, Barnacle Love was a finalist for Canada’s prestigious Giller Prize.